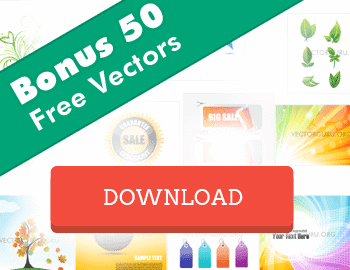 Announcing an awesome Freebie for all Vectorguru readers, exclusively from Iconsmind. Download these amazing Free 100 iOs 8 Icons for Designers and Developers. Let me introduce you to Iconsmind so that you have access to high quality stock Icons for your future projects. Iconsmind is a professional Icon design company which creates immaculate Stock Icons to use in websites, web templates and web and mobile apps. Iconsmind is also the largest source of iOs 7, iOs 8 and Android Icons Pack with 2086 icons in 53 diverse categories. Each of these icons are designed using one of the most popular and currently trending line icon design style for iOs7 and iOs8 and the solid design style for Android devices .The Icons are created within a 24 px and 30px grid using a consistent design style. This makes the icons appear crisp across various screen sizes with high aesthetic value. Moreover the Icons are offered in several formats for your convenience such as SVG, EPS, AI, PSD, CSH and PNG. The Icons are offered in web fonts for such as SVG, EOT, TTF and WOFF for easy integration in and web and mobile apps. So this is your chance to checkout some of these high quality iOs 8 Icons for Free. Don’t miss this opportunity. The Free 100 iOs 8 Icons are offered in the following Vector Formats.What does the Free 100 iOs 8 Icons set contain? AI – 48px & 60px with smart stroke for Adobe Illustrator. You may use the Free 100 iOs 8 Icons in personal and commercial projects. Remember to add a link to the iconsmind.com website. I hope you make the most of these Free 100 iOs 8 Icons. And don’t forget to checkout the complete Icon set offered at Iconsmind. Subscribe to our newsletter and keep visiting for more awesome treats from Vectorguru. Enjoy!